Larry Clow is the former editor of The Sound and a senior contributor. When a woman is pushed to the edge, what will she do? 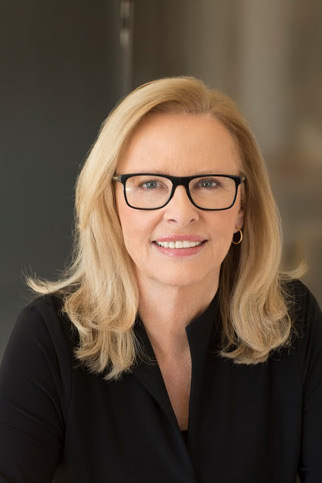 That question sits at the heart of Anita Shreve’s novels. In her 1997 book “The Weight of Water,” which was made into a movie starring Sean Penn and Elizabeth Hurley, Shreve provides a fictionalized account of the infamous 1873 double-murder of two women on Smuttynose Island, and the mysterious woman who survived. 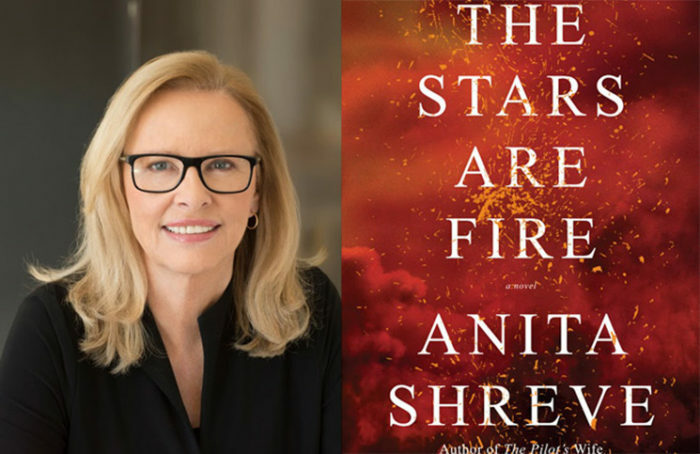 In her latest novel, “The Stars are Fire,” the push comes from another real-life New England disaster. In 1947, a season of severe drought led to a series of forest fires that swept through Maine in October. By the time the smoke cleared, 16 people had died, 200,000 acres of forestland had burned, and homes and communities throughout York County had been destroyed. “The Stars are Fire” begins a few months before the fateful conflagration. Grace Holland, a wife and mother of two young children living in the fictional coastal town of Hunts Beach, faces a life she didn’t expect. Her marriage to her husband, Gene, is deteriorating rapidly, and she’s unsure where to turn for help. Her days are punctuated by household chores and childcare, with short breaks for visiting her neighbor and her mother. An unexpected pregnancy has made it all more difficult. Then the fire arrives. With Gene gone as part of a volunteer fire crew, Grace is left to save herself and her children from the approaching flames. The tragedy levels Hunts Beach and upends Grace’s life. Gene is gone and their house is destroyed. Once confined to her small bungalow, Grace is forced out into the world, first to find shelter, and later to build a new life for herself and her children. But, because Shreve enjoys seeing what her characters do under extreme pressure, the fire is only the beginning of Grace’s challenges. Shreve had been scheduled to read from her new book at The Music Hall Loft in Portsmouth on May 3, but she canceled her tour due to an undisclosed illness. 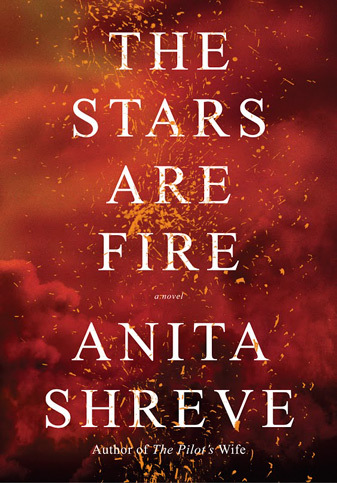 Prior to canceling her appearance, Shreve spoke to The Sound about researching the Great Fires, how she recreated the life of a 1940s housewife, and the benefits of tragedy. As “The Stars are Fire” took shape in your mind, which came first, Grace or the Great Fires? Did one inspire the other, or was your interest in the Great Fires of 1947 the main impetus for the book? That’s a great question, because the big difference between historical fiction and what I write is that, in historical fiction, you want to tell the story of the fire and get all the details in, so you might create a character to illustrate that history. What I do is the opposite — I use history in service of fiction. It’s a wonderful backdrop in which to place a character, and I was fascinated by what I learned, but the real story is Grace Holland and her bad marriage before, during, and after the fire. I had heard about the fires years ago. A decade ago, I read a fascinating book about them, and one detail stuck in my mind that was of women having to go into the sea to save themselves. That detail came first. Then I began to imagine: Who is this woman? She’s Grace Holland, she has two children, she lives in a neighborhood of bungalows three streets back from the water, her husband is working on building the Maine Turnpike. That’s how the book began to spool out. How did you approach researching the Great Fires? My best source was the Portland Press Herald’s archives, because they had spent a better part of 10 days to two weeks (covering) the fires. It was on the front page every day. In those days, news reporting tended to be anecdotal, and so I was able to get some wonderful human interest stories. But the photographs are what really told me about the fire. You could see the danger and aftermath and what people faced simply by looking at the photographs. You also provide a detailed picture of domestic life in the late 1940s. How did you research those details? Well, for a lot of Grace’s domestic life, I used my mother as an example. Let me be quick to point out my parents had a very happy marriage for 56 years (laughs). But I used her chores — I remembered the wringer washer in the kitchen, the wash on the line. I remembered the baby carriage that was enormous and took up the entire hallway, and I remember my mother on the floor making slip covers and drapes, and the bungalow, and the way neighbors were essential because she couldn’t leave the house. She could only go as far as she could walk because she didn’t have a car. And I remember my father coming home on Thursday nights and us going food shopping together because he’d just gotten his paycheck. Grace is tough and resilient, and the resolve that gets her through the fire only deepens as the novel goes on. How did her character develop as you were writing? Were there particular moments that surprised you? I didn’t exactly know what was going to happen with the men. I knew Grace pretty thoroughly by halfway through the book. The men were more difficult; I was able to understand them totally by the time I was done, but certain details about them surprised me as I was writing and inventing them. I couldn’t help but see echoes of “Jane Eyre” in the book — a determined woman in search of an equal, a terrible fire, a brash, angry man with a secret. Was that in the book’s DNA? Were there other literary inspirations? No, it doesn’t really work that way, and it’s certainly not “Jane Eyre.” I haven’t thought about that in ages. But you never know what’s in your subconscious that’s going to bubble up. … I read a lot, and everything I read becomes part of my conscious life. On a similar note, the prose often comes in short bursts. In the 10 or so pages during which the fire rages through Hunts Beach, the text resembled newspaper reports. How did you settle on using that sort of style of short sections and present-tense narration? I started out with vignettes right from the get-go and hadn’t even begun to go through the Press Herald archives. It’s a stylistic choice I made. … What’s missing is the connective tissue between vignettes, but when I read, I often find that connective tissue boring. The Great Fires were unquestionably a tragedy, but, from Grace’s perspective, also a blessing. Can you talk a little about the complicated views we have of these kinds of disasters? In Grace’s case, she has such a circumscribed life and mores during that period. There are certain subjects that are not spoken of, even if they’re doing great damage to your life. The fire … offers her a kind of liberation. She now has to make her own universe with her own set of rules and own parameters, and she does this out of necessity because she has to feed and clothe her family. She has to get a job, learn how to drive a car. … This is an over-used metaphor, but she’s a phoenix rising from the ashes. She learns how to be who she is. Did you call on any of your own life experiences to inform that transformation? It’s hard to say. I live in a different era. It was much easier to become an independent woman; it seemed the way to go. To go back to the way she was, I’d be going against the grain. I’ve always been interested, in my literary mind, in the phrase that first occurred to me when I wrote “The Weight of Water”: If you push a woman to edge, how will she behave? And the answer will be different in every circumstance, but that’s what I’ve done with Grace. What’s the most difficult fire you’ve ever had to put out, either in real life or metaphorically? That’s an interesting question. I don’t think I’ve ever had to put out a real fire, not one that I’ve thought was going to consume me or anybody else. A metaphorical fire, that’s a fascinating question. You’ll have to call me back in a month or so after I’ve thought about it. NOTE: Due to the expected storm on Tuesday, author Michael Finkel’s event at The Music Hall Loft has been moved to Monday, March 13, at 7 p.m. When Christopher Knight walked into the Maine woods without a compass, map, or backpack, Ronald Reagan was president and the world was reeling from the Chernobyl nuclear disaster. It was the dawn of the digital age, and the 20-year-old Knight seemed poised to enter it. He’d finished an electronics course at a Massachusetts tech school and had a job installing alarm systems near Boston. But that spring, in 1986, Knight decided he wanted out — out of his job, out of the city, out of modern life. He wanted to be alone. So he drove, first south to Florida and then back north to his home state of Maine. He traveled from main roads to back roads to country roads to logging roads until, finally, he parked his car and vanished into the woods. Twenty-seven years later, Knight was dragged back into society. Caught breaking into the kitchen of a summer camp in the North Pond region of central Maine, Knight was arrested. The officers who arrested Knight quickly realized this wasn’t a simple burglary; in fact, Knight was the legendary “North Pond Hermit,” the phantom figure who’d been stealing food, clothes, batteries, mattresses, and other sundries from vacation homes around North Pond for almost three decades. Knight claimed he’d never had a campfire, never slept indoors, and never spoken to a single person in that time. For journalist Michael Finkel, the most fascinating part of Knight’s story was that he stole books. Thousands of books, from Shakespeare, “Ulysses,” and other literary tomes to popular paperbacks. Finkel, a writer and outdoorsman himself, couldn’t stop thinking about Knight’s story. “It was that weird detail about stealing books that threw it into an obsession,” Finkel says. That obsession led Finkel on a pilgrimage to the Maine jail where Knight was in custody and, later, to Knight’s secluded campsite. 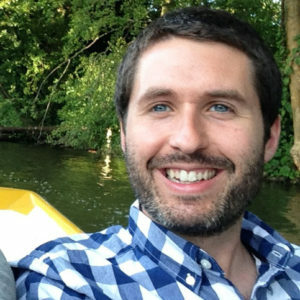 He wrote an article for GQ about Knight in 2014, and that feature became the foundation for “The Stranger in the Woods,” Finkel’s newly published chronicle. The book serves as an examination of why and how we seek solitude. Finkel will read from the book and talk about Knight at The Music Hall Loft in Portsmouth on Monday, March 13. Through a series of jailhouse interviews, Finkel got to know Knight and learned how he survived the harsh Maine winters. Despite the romantic images of a hermit huddled in the wilderness, Knight had actually built a complex camp on a patch of land obscured by thick trees and massive boulders. He had systems for food storage, cooking, washing, and waste disposal. Though alone, he was never far from civilization. Knight’s secret camp was on private property, and burglaries of nearby vacation cottages supplied him with food, blankets, and whatever else he needed to survive. As part of the reporting process, Finkel found Knight’s campsite and slept there on five separate nights. At first he was baffled that someone who professed to love solitude and nature would choose to spend a quarter-century on a couple hundred yards of private property surrounded by roads and houses. But then he saw the site. 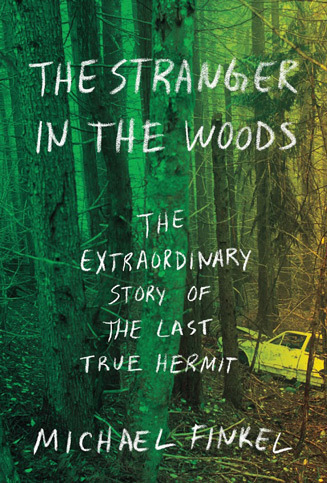 Using Knight as a hook, Finkel delves into the history of hermits and other solitary mystics in “The Stranger in the Woods.” Knight himself rejected the idea that he had some special insight to offer. But seeking solace in the woods — and seeking wisdom from those who cut themselves off from society — is a cross-cultural tradition, according to Finkel. “Human history goes back 5,000 years, and people have always been going back to hermits, saying, ‘Please tell me what you learned.’ It’s obviously some kind of primal fascination we have, and I fully admit I’m subject to that fascination,” he says. After years of research, Finkel only scratched the surface of Knight’s motivations. He initially wrote Knight a series of letters — written by hand, because Finkel had a hunch Knight would only respond to a hand-written note — and the two developed an uneasy rapport. Finkel shared his own failings. He’d been fired from New York Times Magazine in 2002 after it was discovered he’d created composite characters for a story about the slave trade in Africa. 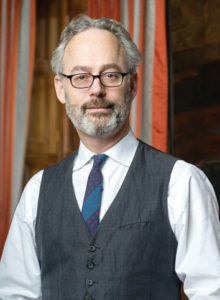 Finkel wrote about the incident in his 2005 book, “True Story,” and being open about it helped him connect with Knight, who never hesitated to express remorse about the burglaries that helped him survive for nearly 30 years. As “The Stranger in the Woods” makes clear, though, Knight is serious about solitude and finds relationships, at best, burdensome. In the book, Knight rebuffs Finkel and offers flippant answers. But underneath Knight’s curmudgeonly character, there’s a longing to connect, a tension between keeping other people at bay while also sharing his story. “Here was a guy who didn’t want to talk to me at all, but he’s hyper-intelligent, possibly one of the smartest people I’ve ever encountered. Maybe too smart for our crazy world,” Finkel says. The portrait that emerges in “The Stranger in the Woods” is complex. Some North Pond residents view Knight as a monster who robbed them not only of physical items, but of their sense of security; others think he is a liar and don’t believe he lived in the woods without a campfire (it would’ve given away his location, Knight says). Still others see him as a harmless eccentric. Knight completed his court-ordered punishment two years ago, and Finkel hasn’t heard from him since their final conversation in 2015. “The Stranger in the Woods” may be Knight’s only testament. 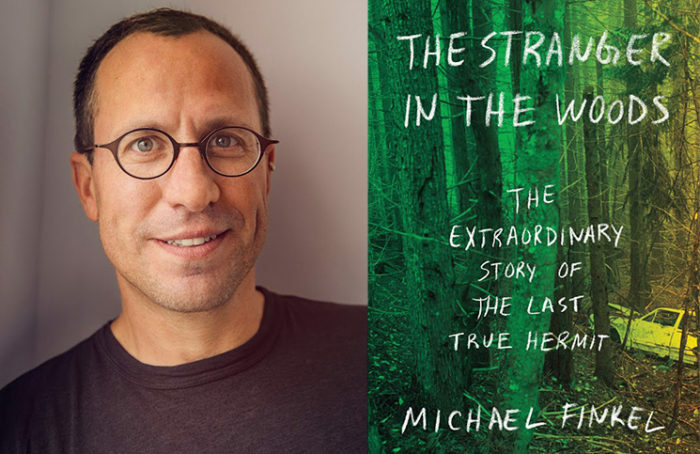 Michael Finkel will read from and discuss “The Stranger in the Woods” at The Music Hall Loft on Monday, March 13, at 7 p.m. Tickets are $40 and include a copy of the book, a bar beverage, and a meet-and-greet with the author. For more information, click here. Before Rumi, the 13th-century Persian poet and Sufi mystic, became one of the world’s most popular poets and an interfaith icon, he was Jalal ad-Din Muhammad Rumi, a Muslim scholar and cleric, just like his father before him. He had disciples, a family, and a quiet life. Then, in the 1240s, the eccentric mystic Shams of Tabriz appeared in Rumi’s life, and the poet we know today was born. 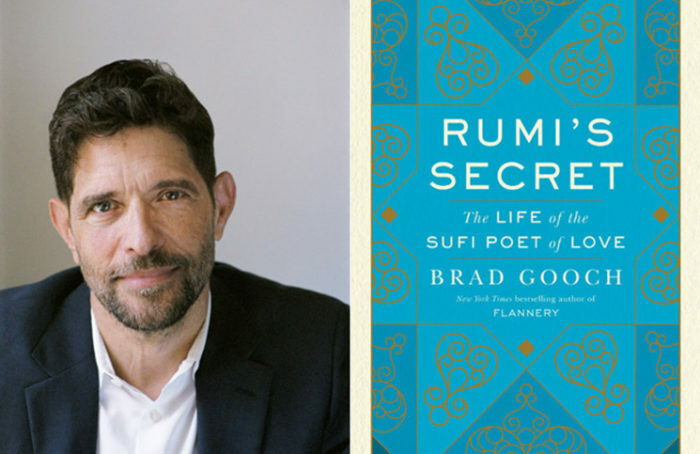 In “Rumi’s Secret,” biographer Brad Gooch traces the path of Rumi’s life and argues that his brief but intense relationship with Shams radically altered the poet and inspired him to write about, advocate for, and, ultimately, live a religion of love. “Rumi writes about it often. 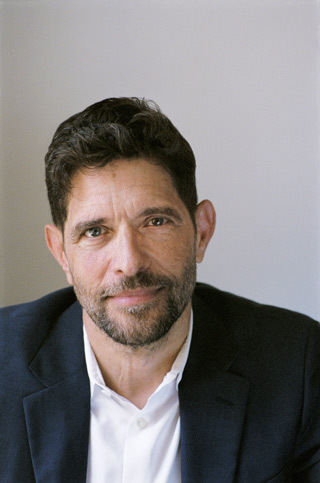 Many of his poems are about this idea: ‘Love stole my prayer beads and gave me poetry and songs.’ All this is the effect of Shams of Tabriz,” says Gooch. He’ll read from “Rumi’s Secret” and talk about the Sufi poet’s life on Thursday, Feb. 2, at 7 p.m. at The Music Hall Loft in Portsmouth. Gooch, whose previous books include acclaimed biographies of writers Frank O’Hara and Flannery O’Connor, spent roughly a decade immersed in Rumi’s life and work. He learned Persian so that he could translate Rumi’s poems and retraced his steps. Gooch even found himself in Aleppo on the eve of the Syrian civil war. Rumi’s poetry is full of small puzzles, secrets waiting to spring on unsuspecting readers and shake them loose from quotidian concerns. 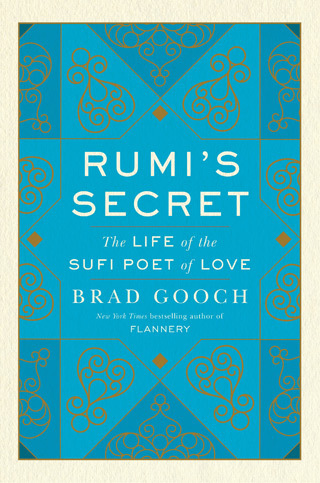 For Gooch, Rumi’s life, and his relationship with Shams, presented a similar mystery, and “Rumi’s Secret” delves into these puzzles while also placing the poet in the context of Middle Eastern history. The Sound recently spoke with Gooch by phone about what Rumi has in common with O’Hara and O’Connor, what it takes to research a story both geographically and historically distant, and why Rumi’s poetry and ideas have endured for eight centuries. Can you talk about how you first discovered Rumi, and what set you on the path to writing this biography? I first came across his poetry and was kind of entranced and seduced, like many people are. It was in the early 1990s and I was staying with friends in Miami, and on their bookshelf were two collections of Rumi’s poems translated by the Cambridge don A.J. Arberry. These are scholarly, literal translations, but they were beautiful and mysterious to me and stayed with me. Then, in the mid-1990s at Christmas, I got the same gift from three different people, “The Essential Rumi” by Coleman Barks. I was also writing a book, “Godtalk,” which was published in 2002, and the last chapter in the book was about Muslims in New York City. And for that, I became part of and reported on a Sufi group that met Friday evenings on the Upper West Side. There, the leader of the group would read not from Rumi’s poetry, but from his talks that had been written down, and the emphasis was on him more as a religious teacher and his Muslim background. The group was mainly young Muslim Americans in their 20s and 30s, and as I learned more about the geography and the culture of that part of the world and of Rumi’s life, I wanted to find a way to connect these lines that were floating around. As a writer, I could tell it was a great story. So you’ve had the idea for the book for a while. What made this the right time for “Rumi’s Secret”? It’s been percolating. I did bring this idea up at the time “Godtalk” was published in 2002. It was right after 9/11, and when I mentioned to publishers this idea of an interested and sympathetic biography of a Muslim poet, they sort of looked pale and confused (laughs). So I didn’t get the sense it was going to be possible, really. So I wrote (“Flannery: A Life of Flannery O’Connor”) … and when I returned to the idea six years later and mentioned it to publishers, it couldn’t have been more different. Suddenly everyone was very interested. … I think it’s the tragedy of American involvement in that part of the world. Now, terms like Sunni and Shia don’t sound so impossible. We know where Iraq and Afghanistan and Syria are. (“Rumi’s Secret”) almost became a way to talk about all the issues we’re interested in and concerned with in this convex mirror of a story that took place eight centuries ago. So off I went. (laughs.) The “off I went” turned out to be more labor-intensive than I had perhaps thought through. I needed to learn Farsi … and I did an immersion language programs for two summers at the University of Texas at Austin and the University of Madison. … There was the language part, and then the travel. The map of Rumi’s life extends over 2,500 miles. … I needed to see things, even though they were historically distant. And all this meant traveling through parts of the world that have a certain amount of geopolitical tension. … It started out as a kind of mystical world of whirling dervishes and … I actually wound up being detained in Tajikistan, where someone took my camera and tried to bring me to the Ministry of Justice, and I was in Aleppo the day the Syrian civil war broke out in 2011. You write about how Rumi’s life shifted drastically after meeting Shams of Tabriz. Can you talk about why the relationship between them was so transformative for Rumi? One of the things that interested me in the story of Rumi’s life was this mid-life transformation. It’s in contrast to Frank O’Hara, who came to New York in his early 20s and became the quintessential New York poet, or Flannery O’Connor, who at the age of 25 was forced back home … after she was diagnosed with lupus. Rumi was in his late 30s and was a respected teacher, preacher, and jurist. And then he meets Shams of Tabriz, this outlier mystic … and they had this electric response to each other. And they go into seclusion together, much to the upset of Rumi’s family and his whole community of disciples. And there, it seems Shams is trying to shift Rumi from the path of knowledge … to the path of love and the heart, and also toward his creative side. … Rumi writes about it often. Many of his poems are about this idea: “Love stole my prayer beads and gave me poetry and songs.” All this is the effect of Shams of Tabriz. At the same time, it’s a really unusual relationship … and therefore seems very modern to us. Neither of them could quite figure out how to define that relationship. The usual mode in that culture, which was a pretty traditional culture, was a sheikh and a disciple, someone older and someone younger. In this case, Shams was in many ways Rumi’s teacher, but Rumi was already an established religious leader at this time. … Someone said (about their relationship), “You can’t tell who’s the lover and who’s the beloved.” All this was shocking and energetic and lively and interesting and caused this transformation in Rumi. What is it about Rumi’s poetry and teachings that you think has made it reach across so many religious traditions and endure for so many centuries? There’s a kind of, even though Rumi doesn’t write about the details of his daily life, honesty and transparency, almost like Walt Whitman, between Rumi and his reader or listener. Also, in trying to work through his separation from Shams of Tabriz and reconcile this with his devotion to God, he developed a kind of poetry. He used the ghazal, which were the mode of love poems in Persia, to write these poems that, in the process, makes the spiritual quest romantic. One way is there’s a sort of pun in the name Shams of Tabriz, which means “sun” in Arabic. Is Rumi writing to the natural sun? Is he writing to the eternal sun, God? This is a game that Rumi played endlessly, and I think it is what drives people into this. … He calls his religion the religion of love or of lovers, and he’s definitely articulating a sort of faith that ignored a lot of denominational boundaries … so he was always a very big-picture mystic in that sense. How did immersing yourself in Rumi’s life cause you to rethink your own ideas about love and faith? Imam Feisal Abdul Rauf … wrote a blurb for the back of my book where he says, “Before we know it, Rumi has caught us up in his own experience and we are changed.” This kind of exposure to the spirit is kind of slowly and subtly transforming, I think. … I know that in the last part of the book, Rumi is talking increasingly about death and facing his own death, and I found that to be the biggest stretch (to relate to), that he was kind of death-radiant in this way, that he was eager almost for his own death. My own spirituality and modern spirituality in general is about being here and now in this world in some way. So at first, I was confused by this, and then I realized he was doing what he did with love and faith, which is to find joy in them. One thing I noticed was that I didn’t have the same kind of anxiety about mortality at the end of the book than when I started eight years ago. Things like that are very subtle. … I think he can help give an incisive, cosmic view on things, and that’s very helpful. You’ve previously written biographies on Flannery O’Connor and Frank O’Hara. What sort of commonalities do you see among them and Rumi? Always, in my mind, and probably in my mind alone, is the idea that if you put Frank O’Hara and Flannery O’Connor together, you’d get Rumi. Rumi does remind me, in certain temperamental ways and the ways he created, of O’Hara. Frank O’Hara was a spontaneous performance poet, less interested in the kind of professionalism of poetry … and he was changed by his poetry and his different friendships and relationships in terms of style, etcetera. And in terms of Flannery O’Connor, she’s a rare world-class writer who put religion and theology at the center of her work and is very interested in it. Usually, people writing fiction or nonfiction out of their religious faith tend to write a more propagandistic, church-brochure literature. It’s rare you find someone like O’Connor and Rumi. … It doesn’t matter if you necessarily get (O’Connor’s) Roman Catholic theology; you’re first struck by these stories. Likewise with Rumi, you’re first taken in by the music and the vision and then you come to care enough to find out about the religious thinking that’s informing it. You write in the acknowledgements that your son Walter arrived while you were finishing the book. How did becoming a parent influence your approach to writing? In the last chapters, we see how much Rumi liked children, how tuned in he was to the children in his neighborhood, and to being playful with his own children, and, near the end of his life, the birth of his grandson, and how he kind of dotes on him. And also how much Rumi likes to play. Someone talks about walking into a garden and seeing Rumi pull his grandson around in a cart and pretend he’s a mule. … And so I discovered that I too like to get down on the floor and play (with my son) in ways I hadn’t expected. (Becoming a parent) gave me access to that aspect of Rumi that I might have overlooked, and that I think is key to his nature — he’s very playful. 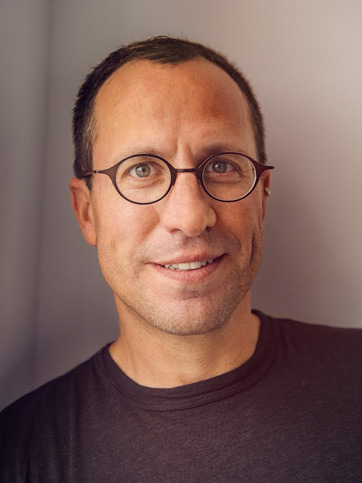 Brad Gooch reads from “Rumi’s Secret” at The Music Hall Loft on Thursday, Feb. 2, at 7 p.m. as part of the Writers in the Loft series. For tickets and more information, click here. Stories abound in local libraries, though it’s not often that those who love a good tale get to hear it straight from the source. That’s precisely the goal for Beyond the Binding, a new month-long storytelling series that brings local storytellers to Seacoast libraries. Sponsored by Seacoast Area Libraries (SAL), the series kicks off on Thursday, Jan. 5, at 2 p.m. at Seabrook Library. Throughout January, 18 storytellers will share true stories at 18 libraries across the region. Stacy Mazur, assistant director of Lane Memorial Library in Hampton, organized the series and coordinated with area libraries to host storytellers. According to Mazur, libraries are community gathering places, and the series offers a chance to keep the art of storytelling alive and bring people together during a time of year when it’s tempting to just stay home. Members of Seacoast Storytellers will share stories at each event. Also among the storytellers will be members of True Tales Live, which produces a monthly storytelling series on Portsmouth Public Media. Pat Spalding, a storyteller and True Tales Live co-host, said True Tales members will tell stories based on the theme of “family influence.” The stories will span everything from disastrous Christmas mishaps to hurricanes, including a mother-son storytelling duo who will tell the same story from different perspectives. Early in 2016, Spalding hosted a storytelling workshop and presentation at Rye Public Library. “Libraries aren’t just books anymore, so the series is part of the opportunities to hear each other and the rest of the community,” Spalding said. Local libraries have cooperated on programs in the past, Campbell said, but nothing as large as Beyond the Binding. Last year, SAL arranged for Anthony Amore, head of security for the Gardner Museum and author of “Stealing Rembrandts,” to give a talk at Lane Memorial Library. That event drew more than 100 people, according to Campbell. And in November, Seacoast Storytellers drew a crowd for their “Tellabration” storytelling event at The Stone Church in Newmarket. “What makes this so ambitious is the scale. Part of it is that idea of being warm and cozy by the fire and hearing a story. We’re hoping people will shake the snow off their collars and come in and warm up,” Campbell said. Beyond the Binding begins Thursday, Jan. 5, at 2 p.m. at Seabrook Library. For a full schedule of events, visit seacoastarealibraries.org. Despite the avalanche of Kindles, iPads, and Nooks that will inevitably be under countless Christmas trees this year, print books are still alive and well. A study released in September by the Pew Research Foundation found that among the 73 percent of Americans who have read a book in the last year, two-thirds opted for print books over ebooks. That readers still flock to paperbacks despite the easy availability of ebooks is just one of the reasons that traditional print books are still relevant, according to local publishers. It goes beyond the romance of a new book fresh from a bookstore shelf, though that’s still a factor. 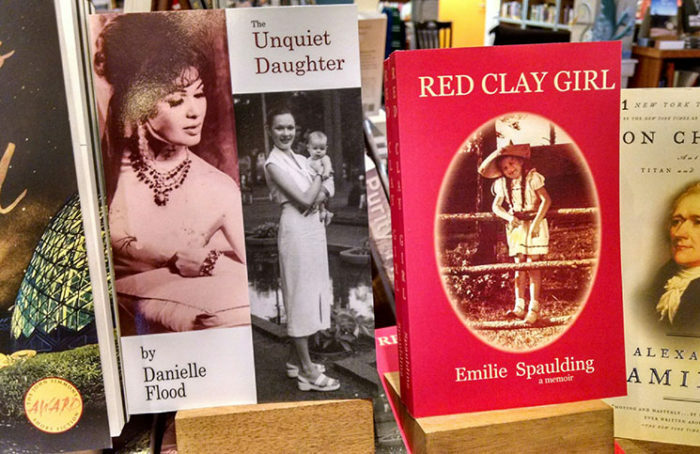 For Granite State publishers and writers, print books remain one of the most practical, visceral ways to connect with readers. Author Jeff Deck, a member of the New Hampshire Writers’ Project, thinks of it like this: Indie publishers and self-published authors have to have something physical to hand to readers. And readers crave that physicality. According to the American Publishers Association, sales for paperback and hardback books increased between 2015 and the first half of 2016 (with growth of 8.8 percent and 0.9 percent, respectively), while ebook sales declined 20 percent. Ask most writers, readers, and publishers, and they’ll tell you there’s something intrinsically romantic about an actual, physical book. “It’s the emotional experience. The smell, the sound, that first crack of the cover, the feel of the paper,” says Deidre Randall, CEO of Peter E. Randall Publisher in Portsmouth. While those physical sensations are an important part of reading, they’re not the sole reason print remains popular. Tom Holbrook is the owner of Piscataqua Press, an independent publisher, and RiverRun Bookstore in Portsmouth. He publishes between 25 and 35 books a year and carries some 200 self-published books in his store — a small number compared to the hundreds of thousands of books that are self-published every year. For some authors, print books are a way to cut through that white noise. Anybody can publish an ebook cheaply and quickly, but print books require extra time, effort, and money. Putting a little more work into making a physical copy can give a book a sense of legitimacy, according to Deck. “If you get a good cover design and professional formatting … there isn’t such a stark line anymore between your product and the production of traditionally published authors,” Deck says. But that sense of legitimacy alone isn’t enough to keep print alive. Piscataqua Press is a “pay to publish” publisher — authors pay a fee to have their book designed, formatted, and printed. 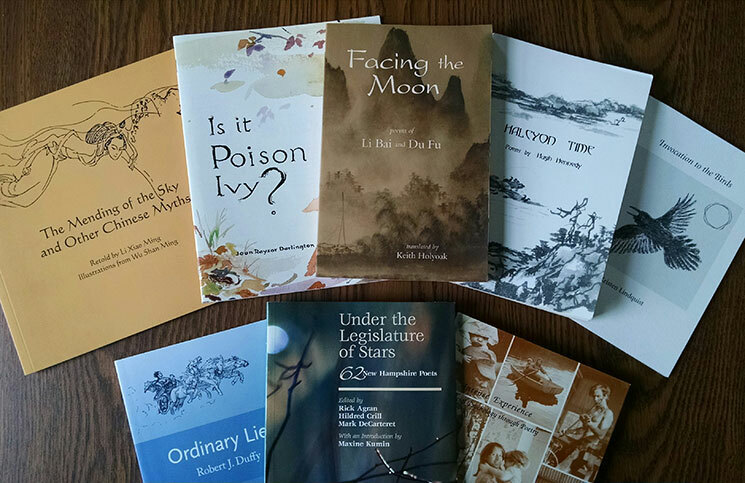 Piscataqua Press and other publishers have made it easier than ever for writers to get their books into the world, but that’s also created fiercer competition for readers. According to the Pew survey, 38 percent of respondents only read print books, while 28 percent read both print and digital. Only 6 percent read only ebooks (26 percent said they didn’t read any books in the last year). For independent authors like Deck, print books work hand in hand with ebooks as a marketing tool. And while writers make the least amount of money from their books through bookstore sales, having copies on the shelf can still make a difference. Customers at RiverRun make decisions on book format based on availability, he says. “If someone comes in and says, ‘Do you have “The Shining?”’ and I have it, they’ll buy the paper copy. If I say no, they’ll say, ‘I can just download it.’ Even though they can get it in two or three days from me, or they can even get it in two or three days from Amazon, it’s all about right now,” Holbrook says. Meanwhile, there are some genres that don’t lend themselves to ebooks. Peter E. Randall Publisher’s catalogue includes a number of children’s books and books on photography, and Randall says experiencing genres like those digitally just doesn’t translate. “People don’t want to curl up with their child at night with a book on their iPad,” she says. Those practicalities also reflect the artistry that goes into producing a physical book. The final product is just as much an exercise in creativity as the words themselves. 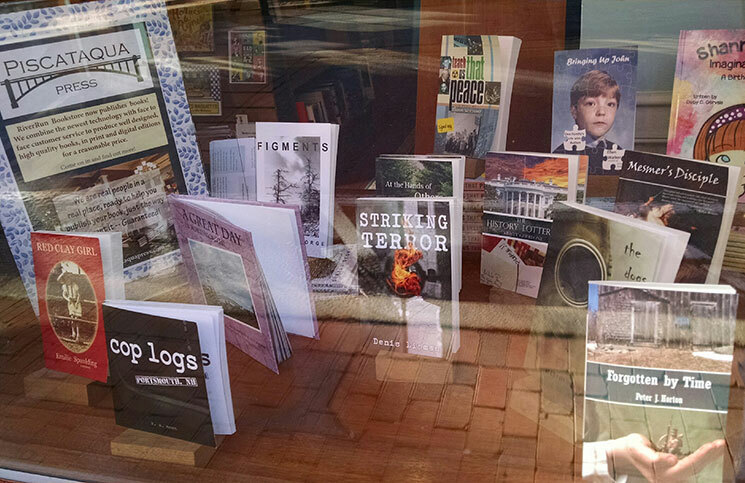 Hobblebush Books in Brookline is a traditional publisher that partners locally with Durham’s Oyster River Press to release poetry chapbooks, translations, and other books for which the physical design is important. “Sustained narratives are important for our ability to understand the world,” Holbrook says. For publishers, writers, readers, and everyone else in the world of books, one of the primary obstacles is that “however much time you’re spending on Facebook each day, (that’s time) that you no longer spend reading,” he adds. And so, for publishers and writers alike, it’s not so much print versus digital, but reading versus not reading, books versus all the other distractions and diversions. It took Dan Brown’s 2003 novel “The Da Vinci Code” six years to sell 80 million copies. That’s one of the most popular books of all time, Holbrook says. Meanwhile, an episode of the long-running reality show “Survivor” will draw in some 11 million viewers on any given night. The smallness aids in the mission, though. Holbrook points to one of Piscataqua Press’ recent books, a family memoir written by an 80-year-old doctor. It’s not earth-shaking stuff compared to the rest of the publishing world, but the book is important to the man and his family, Holbrook says. 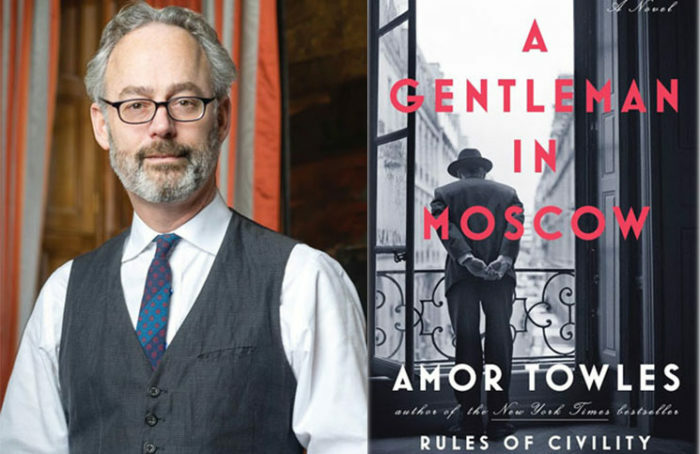 In the opening of Amor Towles’ new novel, “A Gentleman in Moscow,” readers meet Count Alexander Rostov. It’s 1922, and in a few short years, the Russian aristocrat’s fortunes have changed drastically. His family, along with his ancestral home, Idlehour, have been swept away by the Russian Revolution. After appearing before a Bolshevik tribunal, the Count’s life as a gentleman — a lifestyle without borders or limits — is swept into the confines of the Metropol, a luxury hotel in the heart of Moscow. Towles is no stranger to reinvention. He spent two decades working in finance, traveling the world and absorbing the daily rhythms and rituals of hotels like the Metropol. His 2011 novel, “Rules of Civility,” was a breakout hit, and in 2013, he left the investment business to write full-time. Towles will present his new novel at The Music Hall Loft in Portsmouth on Tuesday, Oct. 18. 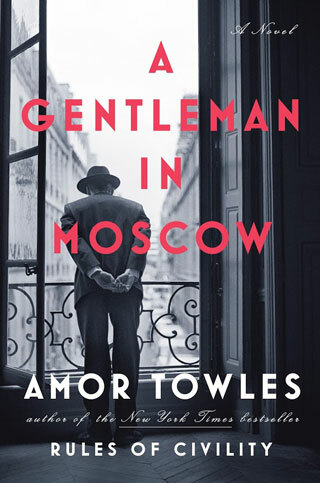 In advance of his visit, The Sound caught up with Towles by email to talk about real-life stories of the Metropol, Russian literature, “Casablanca,” and the fine art of traveling. You traveled extensively during your career in finance. How did the idea for “A Gentleman in Moscow” take shape? When did you begin collecting material and sketching out your ideas? Over the two decades that I was in the investment business, I traveled a good deal for my firm. Every year, I would spend weeks at a time in the hotels of distant cities meeting with clients and prospects. In 2009, returning for my annual visit to Le Richemond in Geneva, I recognized some of the people lingering in the lobby from the year before — as if they had never left. Upstairs in my room, I began to play with the idea of a novel in which a man is stuck in a grand hotel. Thinking that he should be there by force, rather than by choice, my mind immediately leapt to Russia, where house arrest has existed as a practice since the time of the tsars. The following week, I sketched out the story for “A Gentleman in Moscow.” Then, in 2013, I retired from my day job and began writing. “A Gentleman in Moscow” and your previous novel, “Rules of Civility,” both examine how people reinvented themselves, their beliefs, their perceptions, etc., in the early 20th century. Can you elaborate on your interest in this dynamic? I am very interested in the eternal tug-of-war between progress and tradition, between what is to be gained and what is being lost. Human development is not a linear progression. With each advance in the spheres of science, society, culture, and commerce inevitably come tradeoffs, setbacks, and sacrifices. We are seeing something of this dynamic in America today. Wondrous advances in technology, communications, and knowledge have paradoxically engendered an ample supply of isolation, alienation, and misinformation. Our economic advances have vaulted a few forward and left others profoundly behind. Our fitful march toward an open, integrated, and egalitarian society has resulted in the diminishment of many traditions, sensibilities, and values. In such a world, reinvention is constantly an opportunity, and often a bittersweet necessity. The dynamic of gain and loss was certainly on vivid display in post-revolutionary Russia. At the time of the First World War, Russia was the most backward major nation in Europe, with 95 percent illiteracy and the majority of its citizens living as peasants under the rule of an aloof autocracy. With the Revolution, the social order was flipped over and the national values inverted. Universal education, rapid industrialization, and universal equality became the marching orders of the day. And while strides toward industrialization and greater equality were in fact being made, they came at incredible social cost and with the shedding of longstanding values and traditions. With the Russian Revolution, it was as if the country shifted from the mindset of the 19th century to the mindset of the 20th century in a day. What was your research process like for the novel? Were there particular sources, either fiction or nonfiction, you turned to in order to help recreate early Soviet Russia? Rather than pursuing research-driven projects, I like to write from areas of existing fascination. Even as a young man, I was a fan of the 1920s and 1930s, eagerly reading the novels, watching the movies, and listening to the music of the era. I used this deep-seated familiarity as the foundation for inventing my version of 1938 New York in “Rules of Civility.” Similarly, I chose to write “A Gentleman in Moscow” because of my longstanding fascination with Russian literature, culture, and history. Most of the texture of the novel springs from the marriage of my imagination with that interest. For both novels, once I had finished the first draft, I did some applied research in order to fine-tune details. In the case of “A Gentleman in Moscow,” I gathered firsthand accounts of life in the Metropol from an array of prominent people, including John Steinbeck, e e cummings, and Lillian Hellman. You can survey these accounts at amortowles.com. The book is structured very carefully — not unlike, say, a smoothly operating international hotel. What’s your writing process like? How strict are you in terms of outlining, and did any of the characters or their predicaments catch you by surprise? For both “Rules of Civility” and “A Gentleman in Moscow,” I worked with an extensive outline that details settings, events, interactions, and the psychological progress of characters chapter by chapter. That said, when the writing is going well it provides me with plenty of surprises. I was in the middle of writing the bouillabaisse scene, for instance, when I discovered that Andrey was a juggler. I was in the middle of drafting Sofia’s fitting, when I discovered (alongside the Count) that Marina had designed a backless dress. And I was well into writing the culminating scene about “Casablanca,” when I noticed for the first time the moment in the movie when Rick sets upright the toppled cocktail glass. You’re an avowed fan of “Casablanca,” so perhaps it is not surprising that it appears in the book. Are there any other likes (or dislikes) you share with the Count? One of the fringe benefits of being a novelist is that you can incorporate any of your passions into your work. Like the Count, I’m a fan of Tolstoy, I’m fond of “The Nutcracker,” and I take great pleasure in a good meal. Finally, what’s your favorite piece of travel advice? Amor Towles reads from “A Gentleman in Moscow” Tuesday, Oct. 18, at 7 p.m. at The Music Hall Loft, 131 Congress St., Portsmouth. Tickets are $41 and include a copy of the book. For tickets and more information, click here. 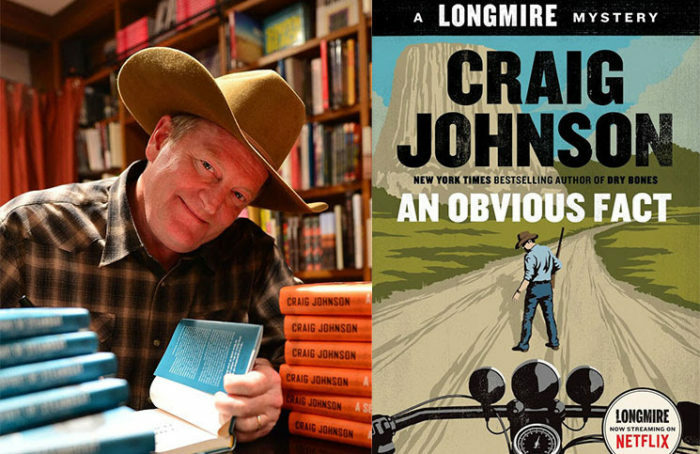 Craig Johnson brings the latest installment of his popular Longmire mystery series to Portsmouth on Sept. 14. Craig Johnson loves small-town life. 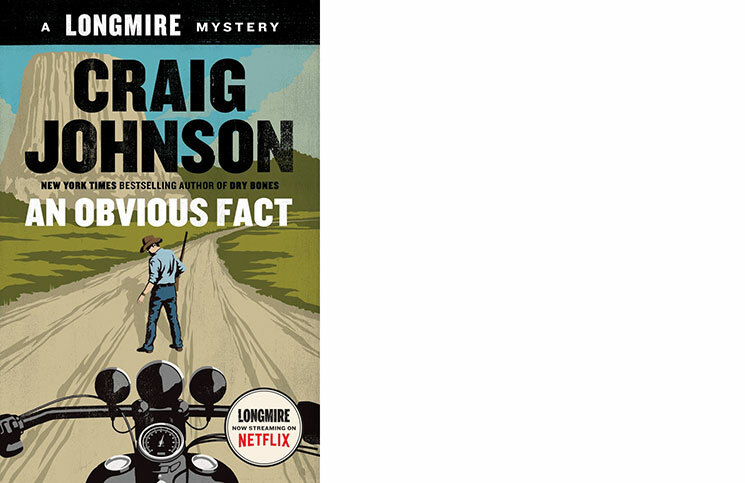 The creator of the Walt Longmire mystery series, Johnson is quick to talk up his home base: Ucross, Wyo., a tiny town with 25 residents and not much else. He likes the isolation, he says, and the connection to the land that living in the shadow of the Big Horn Mountains provides. Plus, it keeps him — and his characters — grounded. Walt Longmire, the star of more than a dozen novels and a number of short stories, is the long-time sheriff of the fictional Absaroka County in Wyoming, the least-populated county in the least-populated state. But in the same way that Walt must often travel outside the county to crack a case, so too must Johnson hit the road to promote his books. And that’s how he began collecting ideas for “An Obvious Fact,” the latest Longmire novel. Johnson has acquired a legion of devoted fans since “A Cold Dish,” the first Longmire mystery, was published in 2004. Even more fans jumped into Walt’s adventures in 2012, when “Longmire,” a TV series based on Johnson’s books, premiered on A&E. 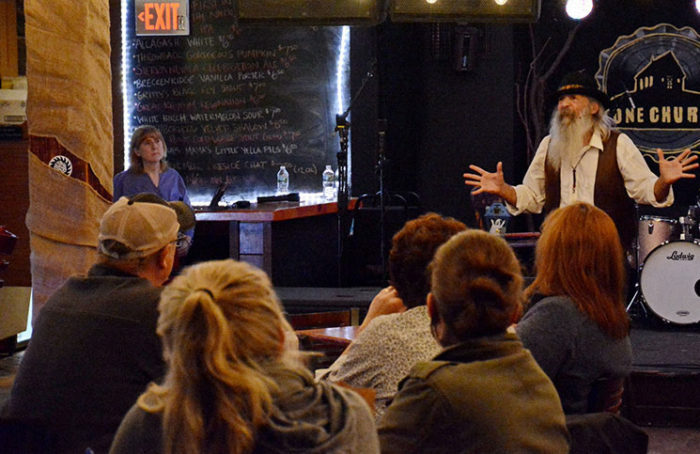 While book tours brought Johnson to large cities, he says that fans in small communities throughout the West were asking him to make appearances. So, he embarked on what he calls his “outlaw” book tour, riding his motorcycle through the plains and winding mountain roads, stopping along the way at a string of independent book stores. Those road trips brought Johnson together with bikers of all stripes, and it got Johnson thinking about what would happen if Walt had to deal with a town full of rowdy bikers — and, of course, a puzzling attempted murder. “An Obvious Fact” follows Walt and his friend Henry Standing Bear as they face off against rival biker gangs, federal agents, and an old flame from Henry’s past. The Sound caught up with Johnson by phone at his ranch in Ucross, where he was preparing for his latest book tour, which will bring him to The Music Hall Loft in Portsmouth next Wednesday, Sept. 14. You’re a motorcycle enthusiast. Was it just a matter of time before Walt squared off with a biker gang or started riding a motorcycle? Personal interest always is the last thing that predicates what my books will be about. But it was something I had been witness to — there’s this little town in the northeastern corner of Wyoming (Hulett) with a population of 390 people that I happened to stumble in on one Wednesday, the day they were having their Ham and Jam motorcycle rally. … They have a sister city in South Dakota, Sturgis, which has a big motorcycle rally, and a lot of bikers come to Sturgis and then want to go to Devil’s Tower, and that takes them through the little town of Hulett, which has a population of 390 people, one police officer, and then half a million bikers. And Walt has a completely different attitude to motorcycles than I do. I grew up with motorcycles and have four sitting in my shop right now. He hates them — he refers to them as “donor cycles” and he’s seen too many people wrapped up in them and get hurt on them while in law enforcement. Henry, on the other hand, really likes them, so it balances things out. Did any of your own motorcycling adventures help inspire the book? Absolutely. I had these little bookstores up in Montana, Idaho, Washington, Oregon, Utah, and Wyoming that said, “When is Viking/Penguin going to send you to Baker City, Oregon?” And I’d say, “Never, maybe they’ll send me to Spokane or Seattle, but not Baker City.” So what I did, I’d collect information on all these little independent bookstores, and I had this old BMW motorcycle, one of those dual-sport jobs that can go on road and off road and gets 80 miles to the gallon. And I thought that after I finished a book tour, I could get on the motorcycle and do a loop, about 5,000 miles, and hit all those bookstores. It had a huge effect. I’d roll into towns and have 300 people at a book event, and that’s kind of outrageous. What’s the most memorable thing you’ve seen while on your own motorcycle? One time coming back across Nevada, I was on Highway 50, the most desolate, isolated highway in America. It’d been a couple hours since I’d seen anything, the light was starting to change a little bit and all of a sudden, something darted up out of the ditch. I swerved … and slid to a stop, and laying there was a coyote. I’d hit it. And he kind of turned around and looked at me … and then trotted off. I said, “Well, that’s probably a message, though I don’t know what it is.” It’s not very often you hit a coyote. They’re generally pretty smart about staying off the road. That was kind of weird. You’ve said before that you’re an outliner — you make plans for your books and for the series as a whole. Have there been any developments, characters, or books that have surprised you? I don’t know how surprised I’ve been by it, but any time you’re writing a series of books, it kind of lives or dies by the evolution of the characters. They have to change, they have to grow. We’ve all read series of books that start out great, but you get eight books in and notice the characters aren’t evolving or changing in any way, and that’s not normal, that’s not human. How has Walt Longmire changed as a character? Well, Walt’s a grandfather now, which is a change from the guy we met in “The Cold Dish,” where he was a guy dealing with the death of his wife and clinical depression. But no matter how difficult the job is, he faces it with a sense of humor and humanity that’s different than the noir stuff you see in crime fiction nowadays — “Abandon all hope, ye who read here.” It’s difficult telling the bad guys from the good guys. One of the reasons I think the books are as popular as they are and one of the reasons why Warner Brothers picked it up as a TV series is because … a producer said, “We’ve had the anti-hero thing since the 1960s and it’s kind of run its course … maybe the American public is ready for a true-blue American cowboy, a guy who lives by a code.” He’s the kind of guy my grandfather used to say “covers the ground he stands on.” If you slide off the road on a Saturday night, he’s the guy you want to see. How far ahead have you planned Walt’s adventures? I’ve got an overarching design, which is a clear-cut idea where the books are going to finally end and what’s going to happen with the characters at the end. You have to have that when you go into a series … but I’m hoping that’ll be a good 20 or 30 years out, or even longer. The other aspect of it is that I’ve got piles of ideas. It’s kind of funny; when you start out, you worry, especially when you’re doing a series, because you’re not reinventing the wheel every single time, you don’t want to fall into the trap of formulaic books where you do the same things over again or the characters become predictable, or you become a victim of your own success. Authors who do really interesting books, they do one big breakout book, and then they get pressured from their publisher or the reading public and everyone wants them to write that book over and over again, and I can’t think of anything worse as a creative artist. For me, it’s always important to be trying to do something different with each book. The majority of my plots come from newspaper articles. … Everywhere I go, if I go to a small town, I pick up a small-town paper. Small-town papers will print stuff big newspapers never will print. They’ve got a little more nerve, and it’s fun to see that kind of information, see what issues are going on. A lot of the books are based on articles from small-town newspapers, and that’s what keeps Walt grounded in reality. One of the jokes I make is that I don’t want Walt on a cruise ship, or chasing al Qaeda. The Longmire novels often tackle social issues — racism, life on Native American reservations, and others. What makes crime fiction and mystery an ideal ground to explore these ideas? For one thing, you don’t have the luxury that a lot of literary fiction writers have, where they don’t concern themselves anymore with storytelling. You can’t get away with not telling a story in a piece of crime fiction. You have to have a good beginning, middle, and end. A lot of literature has abandoned the storytelling motif as being out of date, and that’s crazy. The thing about crime fiction is that the stakes can’t get any higher. Basically, you’re talking about life and death. … It’s also an opportunity to get into another world. When I first started writing the books, that’s when all the “CSI” stuff was starting to peak. Everything was about the technology and the forensics and ballistics. … I thought, what if you did a procedural in the least-populated county in the least-populated state in America? It would force you to deal more with character and place and all these things that are essential to good writing, and maybe that would make the books stand out. Speaking of place, you moved to Wyoming after you first delivered horses there when you were young. What made you want to come back, and what’s kept you there? It’s gonna sound kind of hokey, but it’s basic: My grandfather was a blacksmith, and the West appealed to me more than anyplace else. … I live in the outskirts of Ucross, which has a population of 25, and I thought that kind of isolation and focus would help provide for a lifestyle where I could focus on writing. When I’m touring and going around to these big cities, there’s too much to do — just the music alone would keep me busy seven days out of the week. … My ranch used to be a working ranch, but when the books took off, that kind of went away. I’ve still got horses and still irrigate and still go through the motions of keeping a semblance of a ranch alive out here. The nice thing is it keeps me in touch with this world Walt lives in. That’s something you address in your books — that mythic view of the West. How is it changing? Does it still occupy the same place in our cultural imagination? Are you already working on the next Longmire book? 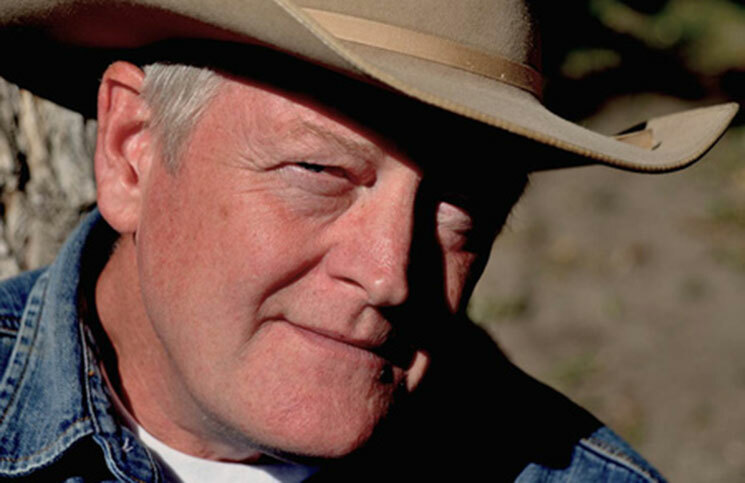 Craig Johnson reads from “An Obvious Fact” as part of the Writers in the Loft Series on Wednesday, Sept. 14 at 7 p.m. at The Music Hall Loft, 131 Congress St., Portsmouth. Tickets are $42 and include a copy of the book. Visit themusichall.org or call 603-436-2400. Follow Johnson at https://twitter.com/ucrosspop25. When Clay Groves and Dave Kellam started their podcast, “Fish Nerds,” a little more than two years ago, the initial episodes were not that great, Groves says. That was in 2014. Now, 110 episodes later, Groves’ and Kellam’s weekly fishing podcast draws in thousands of listeners, and the show boasts segments from correspondents from all over the world. The Seacoast-based podcasters have had “Fish Nerds” segments featured on Boston Public Radio and New Hampshire Public Radio, and have built up a loyal following. Podcasts aren’t new — they’ve been available through iTunes and other services for more than 10 years — but they are having a moment. In 2014, the podcast “Serial,” a spinoff of “This American Life” in which creator Sarah Koenig looked at the 1999 murder of Hae Min Lee and the case against Lee’s ex-boyfriend, Adnan Syed, became the first podcast to reach 5 million streams or downloads on iTunes. “Serial” was a pop-culture sensation, and podcasts became so mainstream that, in June 2015, President Barack Obama was a guest on comedian Marc Maron’s “WTF” podcast. The Seacoast is part of the trend. Podcasts in the region tackle topics as diverse as local history, giant monsters, jazz lessons, craft beer, Shakespeare, and, of course, all things fishing. 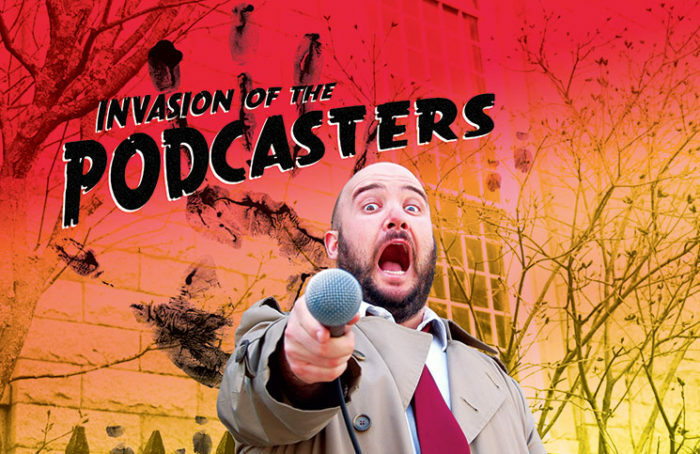 The podcasters are taking over, and they want you to listen in. In the early days of “Fish Nerds,” if Groves and Kellam wanted to invite a guest to be on the show, they first had to explain what a podcast is. “New media takes a while to catch on fire,” Groves says. While they still get that question, Groves says, people are now more in tune with podcasts and what they’re about. A 2015 study from the Pew Research Center found that between 2008 and 2015, the number of Americans who had listened to a podcast within the last month went from 9 percent to 17 percent. The study also found that the number of podcasts have increased — data from Libsyn, a commercial podcast hosting company, found that between 2012 and 2014, the number of podcasts actively hosted by the company went from 12,000 to 22,000. Seacoast musician Peter Squires produces and hosts “The Family Room” podcast, in which he interviews notable locals from around the region. Podcasts are catching on with both producers and audiences because of the freedom they offer, he says. Spend a few minutes browsing popular podcast services like iTunes, Stitcher, Libsyn, and others, and it’s clear that there’s a podcast for pretty much every subject and in every genre. “Welcome to Night Vale,” a twice-monthly podcast about community radio-style updates from the very strange (and very fictional) desert town of Night Vale, has spun off into a touring live show and a best-selling novel. Whether you want science news or political history or tales of surviving the zombie apocalypse, podcasts have it covered. And that presents plenty of opportunities for creative people. “The podcast world is like the creative wild west,” says writer John Herman, who’s set to host a “serial mystery podcast” this fall. “There are so many genres working without a set of rules. The quality is all over the place but there are some real gems, and the quality is getting better and better as the audience grows. Local listeners can learn about Rochester history from the “Bob Griffin Podcast,” or brush up on their Shakespeare with Seven Stages Shakespeare Company’s “No Holds Bard” podcast (which was recently featured on NPR’s podcast discovery site, Earbud). Neoteric Dance Company’s Sarah Duclos has plans to launch a Seacoast dance podcast in the fall, and musician Nick Mainella’s “10 Minute Jazz Lesson” show just hit its 11th episode. Mainella started “10 Minute Jazz Lesson” for a simple reason: He couldn’t find anything like it out there. “I’m so used to teaching … that I figured it would be a cool way to spread the message a little further,” he says. Mainella says that each episode should be accessible for jazz musicians at every level. Building an audience can be tough, he says, especially with a niche subject. But Mainella says there are so many people involved in jazz, from students and teachers to musicians and audiences, that the pool is wider than one might think. That’s part of the beauty of podcasting, according to Squires, Groves, and others. A podcast can be as simple or as complicated as its creators want it to be. Squires and Mainella are both musicians and have professional-quality recording equipment on hand. But for novices, producing a podcast is as simple as recording something on a computer or smartphone, editing it with free software, and getting it online. “You don’t have to have a ton of audio expertise to get started,” Squires says. While big-name podcasts have become mainstream phenomena, local podcasts are building community. Squires, who reached out to Dan Beaulieu and Kevin Codardo of “No Holds Bard” for podcasting tips before creating “The Family Room,” says he feels more connected to the Seacoast because of his show. Damn That Television! : Matt Triest and Jon Waugh talk TV, movies, books, comics, and all things pop culture. Beware of Monsters: Love giant monsters, horror, sci-fi, and fantasy? Host Christopher Oullette interviews authors, artists, and other monster fanatics in each episode. Local author Jeremy Robinson is the show’s producer. Did we miss a local podcast? Let us know at news@soundnh.com. 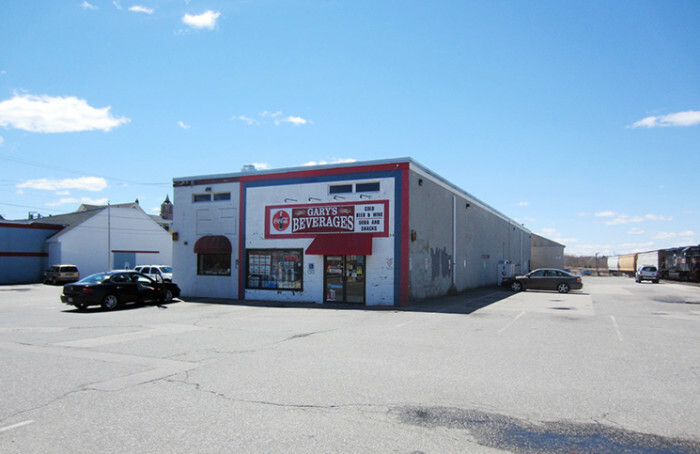 The Gary's Beverages site will soon be home to Portsmouth's new parking garage. Portsmouth moved a step closer to building its second parking garage on April 18. City councilors voted 8-0 to give city manager John Bohenko the authority to execute a purchase and sale agreement with Deer Street Associates for the $4.9 million parcel of land on which the city plans to build a new parking garage. The vote allows Bohenko to sign the purchase and sale and post-closing agreements once all documents are finalized. Councilors and city staff discussed the deal during a work session before the council’s regular meeting. Much of the discussion among councilors focused on whether the city is receiving the best deal it can on the land. The purchase price is approximately twice the assessed value. In May 2015, councilors approved bonding $23 million to build a new 600-space parking garage at 165 Deer St. in the city’s North End. Revenue from the garage and other city parking facilities will pay for the project, according to city officials. Bohenko said that plans for micro-apartments and other affordable housing units near the garage are still in progress. Councilor Josh Cyr recused himself from the vote because he owns a property on Hanover Street, near the Deer Street parcel. Councilor Jim Splaine said that he’s concerned about the price of the parcel. Before the vote, Splaine proposed an amendment asking the city to get an updated appraisal on the parcel before signing any agreements. Councilors voted against Splaine’s amendment. Councilors also cautioned that the Deer Street garage will not be the end of Portsmouth’s parking shortage. “Once we add more population to that area, and once we try to take residential folks and give them a place to park and put workers there, we will fill (the garage) up and we will need another garage,” said councilor Christine Dwyer. City attorney Robert Sullivan said a number of details need to be worked out before the sale is finalized. Bohenko said he’d like to see the garage ready within two years of completing the purchase. James McBride didn’t want to write about James Brown. The Godfather of Soul was “tough on writers,” McBride writes early on in his new book, “Kill ‘Em and Leave: Searching for James Brown and the American Soul.” When a man claiming to have access to the “authentic” James Brown story approached McBride’s publisher and agent, McBride tried to turn him away and send him to another, better qualified writer. But James Brown was different. McBride eventually came around to the idea. Sure, he admits, he needed the money. But there was something deeper, too. “I loved the man and I loved his music. He’s an important symbol, one that I thought is misunderstood. I’ve never read anything about him that spoke to how he was different, the difficulties of his life and the difficulties of the community he’s often associated with,” McBride says. And so McBride wrote that book. “Kill ‘Em and Leave” was released in early April. On Monday, April 18, McBride will be at The Music Hall Loft in Portsmouth to talk about the book as part of the Writers in the Loft series. McBride interviewed those closest to Brown in search of a more complete portrait of the artist who called himself “the hardest working man in show business.” The picture that emerged, though, was vastly richer and more complicated than McBride expected. Brown’s life and legacy parallel the broader history of black Americans, McBride says. And Brown, notoriously flinty and single-mindedly focused on being the best, had a sensitive side he didn’t show the public. Brown’s death brought further complications — though he wanted all of his multi-million-dollar estate go toward educating children in his home state of South Carolina, a plethora of lawsuits have kept Brown’s wishes from being enacted. The Sound recently caught up with McBride by phone about the book, Brown’s place in American culture, and the messy, decade-long legal battle over the singer’s estate. James Brown didn’t trust anyone, and his friends and family have a similar mistrust. How difficult was it to research the book? How did you convince Brown’s family and friends to talk with you? I do whatever work needs to be done to get the story, in order for the lighthouses of the story to appear. And then you work to connect the dots between them. Sometimes you have to work hard for someone’s trust, and sometimes you don’t win that trust at all. You forget the failures and work with the successes. It’s not always easy. You don’t get everything you want. Maceo Parker (Brown’s longtime saxophonist) never spoke to me. I called him and wrote him three or four times, and at one point his manager got back to me and we started a negotiation, but I thought it was a bunch of jive. Pee Wee Ellis and Fred Wesley were the main co-creators of James Brown’s sound. … I traveled over to England to see Pee Wee … and also went to Amsterdam to interview (bassist) Charles Sherelle. Did being a musician yourself help when it came to researching and writing the book? It helped tremendously. People who don’t know music tend to wax poetic about music and write all around it, dressing up the flowers with more flowers. It’s like admiring someone’s garden by planting another garden next to it. You miss the whole point about what is in front of you. As a musician, I can look at the garden and tell you at least what I, as a musician, think is special about it. It helps matters some because I think James Brown’s music was so powerful and magnetic that people don’t look past the music to what the man was trying to say. When John Lennon wrote “Imagine” — and I think John Lennon was absolutely incredible — it was a song in his heart. People looked past that song to the world John Lennon wanted. They don’t look past to the world that James Brown wanted. They think his music is good, or slick, or danceable, and that’s it. Black people are not supposed to represent the kind of innocence in America that white people do. I don’t mean to say that in a racist way … but he doesn’t represent the kind of innocence to America that the Beatles did. They had complicated lives, they had drug problems, they had the same kinds of issues that many stars have because the world rushes upon them and they’re simply unprepared. They’re artists, very sensitive people, and they’re not prepared for the strains and struggles of stardom. To their credit, every single one of those guys comported themselves with an enormous amount of dignity, dealing with the pressures they were facing. I would argue James Brown did the same thing, until the end of his life when his life simply went out of control … because he was carrying the weight of an entire people on his shoulders. That’s a weight John Lennon … and Elvis didn’t have to bear. There was once a Life magazine cover (about Brown) that said, “Is this the most important black man in America?” There would never have been an article like that about Elvis … He wasn’t expected to carry white race on his shoulders … he was just seen as Elvis, a great artist, a great talented guy, a wonderful singer. James Brown was seen as the guy who could control black thought to some degree. Twice he was brought in (in the 1960s) to stop riots in Boston and Washington, D.C., and I always thought that was a little misleading. I understand why he was brought in, but I don’t know if he really saved those cities. He was so loved that he was floated out in front of people and they listened. I think the reason why he’s important is he would do it. Would some of those other stars from that era do it? I doubt it. Someone like Smokey Robinson would’ve done it. But was he big enough? Was Brown aware of that role that was placed on him? I think he was aware of it, and I think he carried it with some measure of pride and some measure of it being a burden. You write about how Brown’s life mirrors black American history. What was the point in your research when that idea began to take shape? When you look at James Brown’s life and see how that life played out, you realize that the cloud of racism that covers us all impedes people from seeing his life properly. When you hear him play and see him perform, there’s a lot of assumptions you make about him if you understand black life. He knew he’d be seen as just a dancer, not as anything other than that. I didn’t go into the book saying his life is a metaphor for race and our inability to deal with it, but that’s really what it’s about. I don’t really like talking about this kind of stuff because I’m not the kind of guy to talk about this stuff, but the story is what it is. The facts speak for themselves. There’s no way in the world that if Elvis Presley wrote his will, that the state of Tennessee would attempt to rewrite it. (Brown) wrote a will and he wanted to leave his money to poor kids of all colors, and his will was re-written at one point and it still hasn’t been put into action. I don’t know if that would happen to a white artist at James Brown’s level … and all of that is wrapped up in race and class and politics, and I don’t know many American singers … whose estate are wrapped up in the politics of a southern state that’s not known for its tolerance and diversity. He tried his best. He did not lead a life of exemplary behavior that was above reproach and criticism. But at the end of his life, he sought to give back everything he earned to the community that made him. The book is structured around profiles of people who knew Brown intimately. Why did you choose this approach to looking at Brown’s life? You know, when you write a book, you just use what’s there. You can follow everybody else, or … show how skillful you are as a descriptive writer, or you can simply just play with the instruments that were left on the table when you walked into the room. So I played those, and if there were more or better instruments, I would’ve played those. But I mean, (Brown’s longtime manager) Charles Bobbit is not well, and (guitarist) Nafloyd Scott is dead. A lot of the people in this book are older people whose stories have never been told. … Nafloyd Scott, he’s one of the best guitarists … and a founding member of (Brown’s first band) the Famous Flames. Pee Wee Ellis has never been discussed in American music, as far as I know. (Brown’s first wife) Velma Brown … has never given an interview. 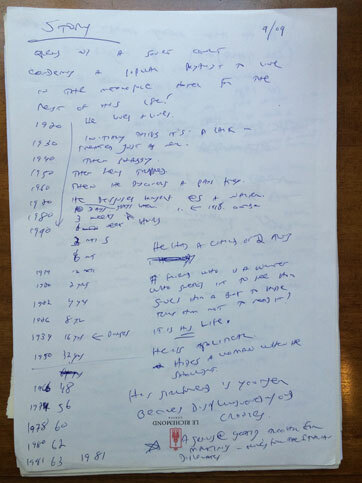 There were lots of reasons for structuring the book that way … but it’s because that’s who was there. Their voices were stronger than mine. As you got to know more about Brown, was there anything about him or his life that surprised you? At first, I was intimidated by him … because I heard so many things about him. But the more I came to know him, the more I came to like him. I think I understand him better. I understand his pain and his struggle better than I did, and his behaviors make perfect sense. He was in some ways a hard man, but beneath the hardness and gruffness, he was a kind and loyal person, and deeply sensitive, which is not a word often associated with James Brown. Brown was always so careful about his public appearance. After writing the book, do you have a sense of how he’d feel about his legacy? I think he would be horrified to see what happened with his estate. He tried his best. He did not lead a life of exemplary behavior that was above reproach and criticism. But at the end of his life, he sought to give back everything he earned to the community that made him. That’s an extraordinary piece of business. And 10 years later, not a single dime has gone to a single kid. … I don’t think this lawsuit will ever be settled. I think there has to be some sort of federal intervention in the state of South Carolina. … Those good old boys operate under state rules and they just make up the rules as they go along. Brown was paranoid about money throughout his life. Do you think the dispute over his estate confirms his worst fears? This case shows that his fears have been confirmed, that he was wise to hide money under rugs in far-away hotels, dig holes in the ground and throw money in them. Now everything he earned and worked half a century to earn, it’s going where? No one seems to know, because the lawyers and administrators of his estate and South Carolina have done all sorts of fancy figuring … about where the money is going and what it’s being used for. At one point, I believe they spent $100,000, or something close to that, to do care on his tombstone, which is in his daughter’s front yard. What are they doing there, cutting the grass around it? … The case is a metaphor for his life, and his life is a metaphor for how we let the country slip into the hands of lawyers and politicians and anyone willing to eat his neighbor for a bigger percentage. What’s your favorite James Brown song and why? I like a lot of ’em. I think “There Was a Time” kind of captures the power of what his band can do with a single chord … without changing keys. … They don’t move harmonically, they simply stay on whatever key (the song starts on). They do so much with rhythm in that song … and you see how good the band is in creating a counterpoint using just rhythm, using only eight notes. 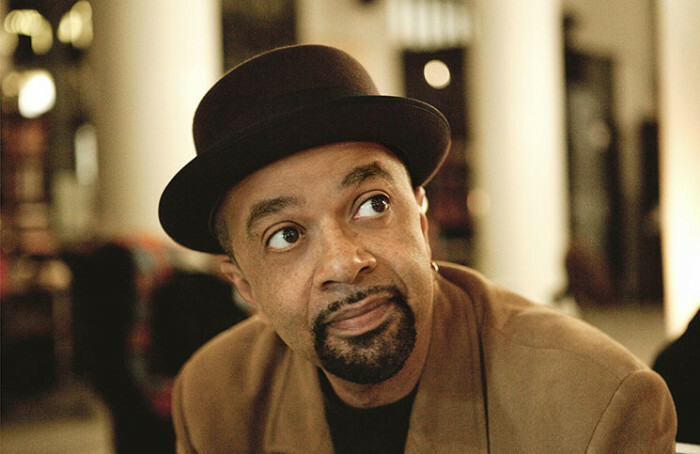 James McBride reads from and discusses “Kill ‘Em and Leave” Monday, April 18 at 7 p.m. at The Music Hall Loft, 131 Congress St., Portsmouth. Tickets are $28 and include a copy of the book, beverage, and book signing meet-and-greet. Call 603-436-2400 or visit themusichall.org.